Where, and how the district will grow in the decades to come will go before the public, as a series of hearings scrutinising the council’s key planning policies is set to begin. Just over a year since Harrogate Borough councillors approved a draft of the district’s Local Plan, assigning land for thousands of new homes and businesses, a series of public hearings are set to be held. The next hurdle for the key planning document begins on Tuesday, January 15, with up to 20 days of hearings, led by government inspector, Richard Schofield. Earlier this year 20 sections of the plan were identified, and questions put to Harrogate Borough Council to address. The ‘legal compliance and soundness of the plan’ depends on these, according to documents submitted by Mr Schofield. 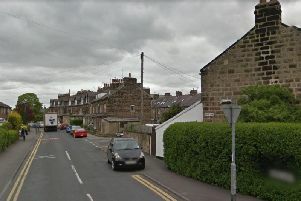 She said: “The plan sets out our vision for the future of the Harrogate district, with the aim of people being able to afford their own home and live and work locally. It’s our framework for development over the next 20 years; for a district that’s progressive, vibrant and a place where people wish to live, work and visit. The timeline for adoption of the plan is Spring 2019, but HBC have said this ‘is very much dependent’ on the timing of the inspector’s report. The Local Plan covers a wide range of policies, including how a target of 14,049 new homes will be hit by 2035, with just under 4,400 affordable homes among these. When in place it’s expected to help council planners ‘control or restrict’ development outside of allocated sites, or if they conflict with policy, in the plan. The questions put to HBC, by Mr Schofield, will form the basis of the hearings. The first, on Tuesday, January 15 10am, will cover if the council met legal requirements in developing the plan. The sessions take place at the Civic Centre, St Luke’s Avenue, and are open to the public. Those wishing to speak must have previously commented on the plan, and must have registered with the council. Campaigners challenging housing sites outlined in the Draft Local Plan welcomed the upcoming series hearings, and hope to see ‘local feeling taken on board’ by the independent inspector. Among them is Margaret Willis of the Hampsthwaite Action Group (HAG), who said: “HAG has submitted lots of documents and letters to express our concerns about the local plan and reasons why we don’t think it is fit for purpose. There are two housings sites allocated in the village, on land off Brookfield Garth, for 36 homes, and land to the north of Meadow Close, for just under 80 homes. Chris Chelton, Chair of Keep Green Hammerton Green, said that while the group did not want to see the plan fail, changes needed to be made. He said: “We don’t want to see the Local Plan in its entirety fail as it risks communities, like our own, being open to opportunistic developers - who threaten with costly appeals, as we have seen with inappropriate sites recently. Currently there is a broad area marked in the Green Hammerton and Cattal area for a new settlement in the plan. While this choice will be raised in the upcoming examinations, a specific site will be allocated following development of a New Settlement Development Plan Document.